Our Sheer Scarf Valances are ideal for dressing up a window or bed canopy. A valance on a window is like icing on a cake. Add simple, elegant style to your window with this beautiful sheer scarf that exudes sophistication. Being able to choose your designed pattern of choice is, most definitely, the best part. Choose a pattern that goes with your living room, bedroom, or that just screams your personality. 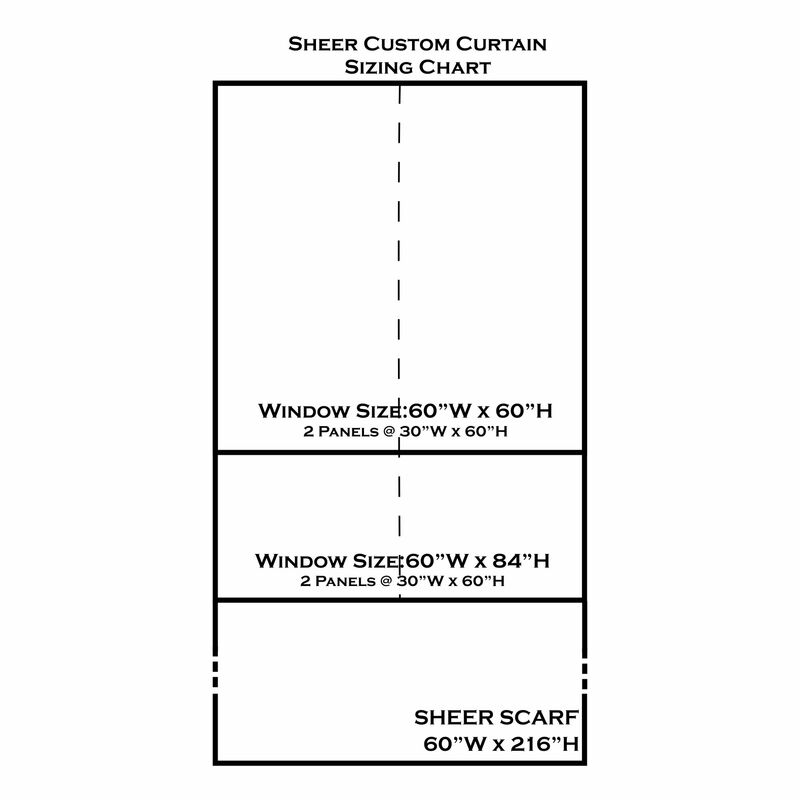 At 216" x 60", the single piece scarf valance is a nice size to elegantly frame your window or whatever else you please. You might also be interested in coordinating these sheer curtains with our other window dressings, personalized lamp shades, and personalized decorative pillows.